Nose piercings transcend cultures and generations and still maintain influence in many cultures across the world. Despite popularity and years of practice, it’s still incredibly common for a piercing to become infected. Many remedies to treat infections are available at home, but a visit to FastMed Urgent Care may be necessary to address more severe cases. Wondering how to tell you if have an infected nose piercing? 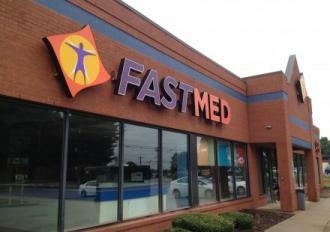 FastMed offers a few primary indicators, as well as treatment options. Was your nose pierced by a licensed professional or was this a DIY job? Self-piercings are dangerous and have a high risk of becoming infected. Allowing a professional to perform the piercing in a clean and safe environment will reduce the risk of developing an infection. Do you notice any pus or discharge coming from the pierced area? A clear indication of an infected nose piercing is the presence of pus. While white pus points towards a minor infection, green or yellow pus is usually associated with a more serious infection. Are you in a great deal of pain? If your piercing is extremely tender and causes an alarming amount of pain, it may be a sign of infection. How red is the area surrounding the piercing? It’s typical for a fresh piercing to appear pink or red. If the coloring deepens or remains for an extended period of time, you may have an infected nose piercing. Are you experiencing nausea, chills, or fever? These symptoms may be the result of a serious condition that would require immediate medical attention. FastMed Urgent Care is a convenient and affordable solution for treating an infected nose piercing. Most major insurance providers are accepted, and we also offer a discount program for those without insurance coverage. We are open 7 days per week and maintain extended business hours, accommodating even the busiest of schedules. Call us or stop by today.